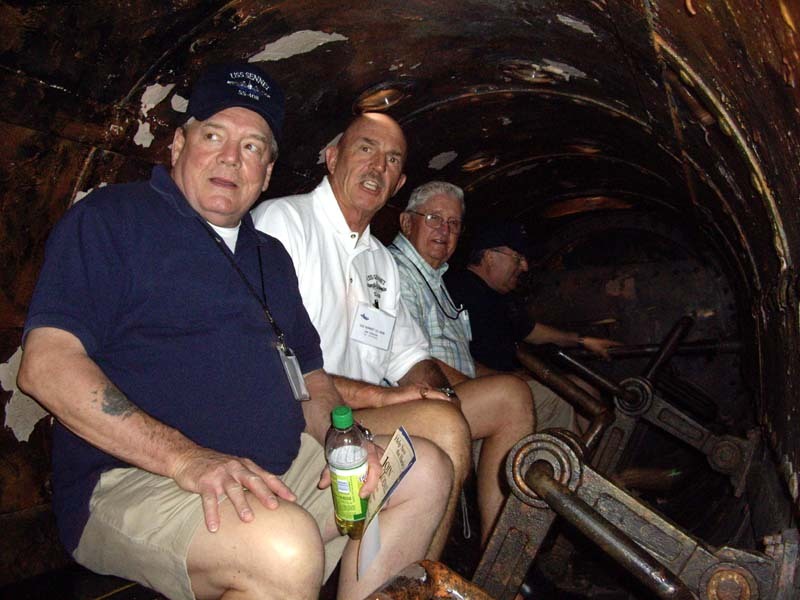 Reunion 2007 - Sennet's crew tries out the main propulsion system of the Confederate submarine Hunley (Pollard) (sr07p885). 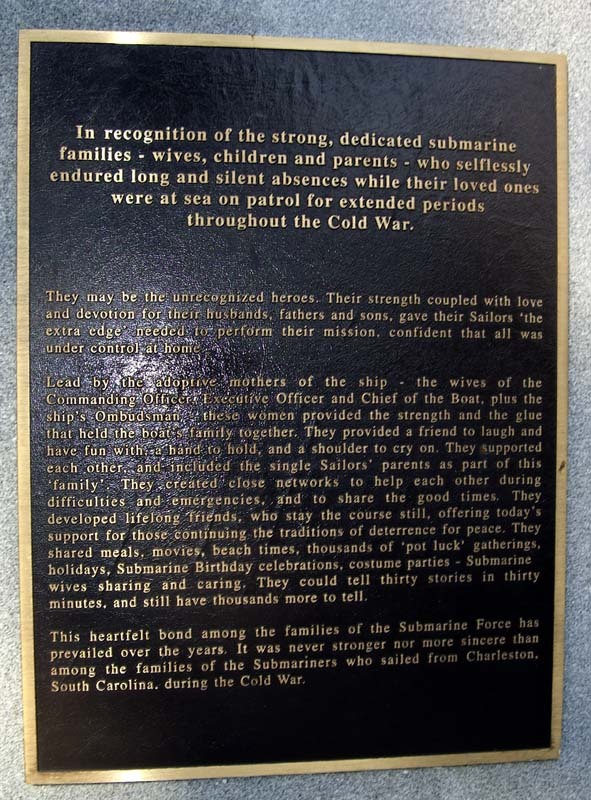 2007 - A monument at the Submarine Cold War Memorial to recognize the families of submariners (Pollard) (sr07p891). 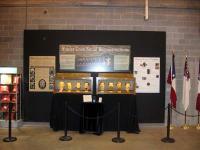 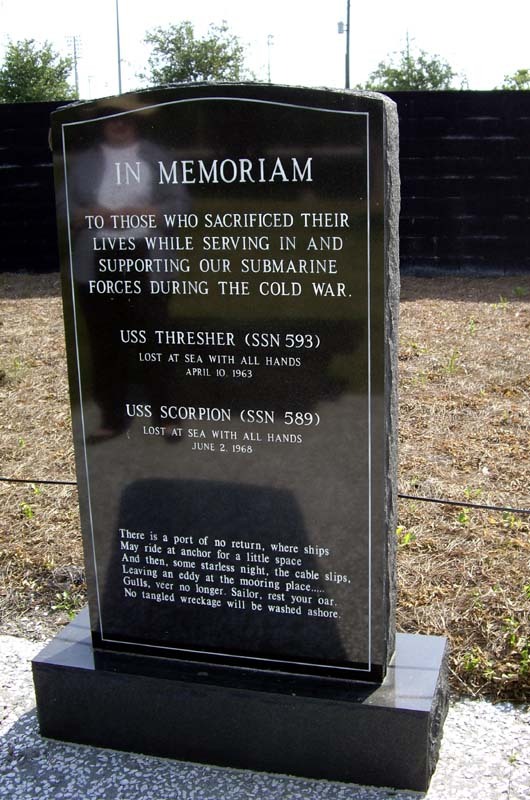 2007 - A monument to the crews of Scorpion and Thresher at the Submarine Cold War Memorial (Pollard) (sr07p897). 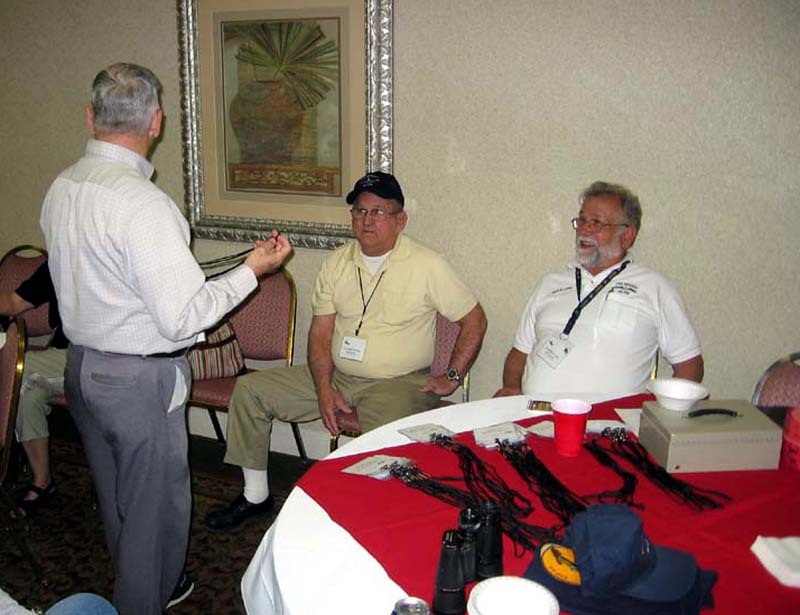 Reunion 2007 - EMC(SS) Ben Hale (66-68) Decomm Crew tells a totally truthful sea story to TM3(SS) George Wells (52-54) and MM1(SS) Ralph Luther (64-68) Decomm Crew (Vernon) (sr07v828). 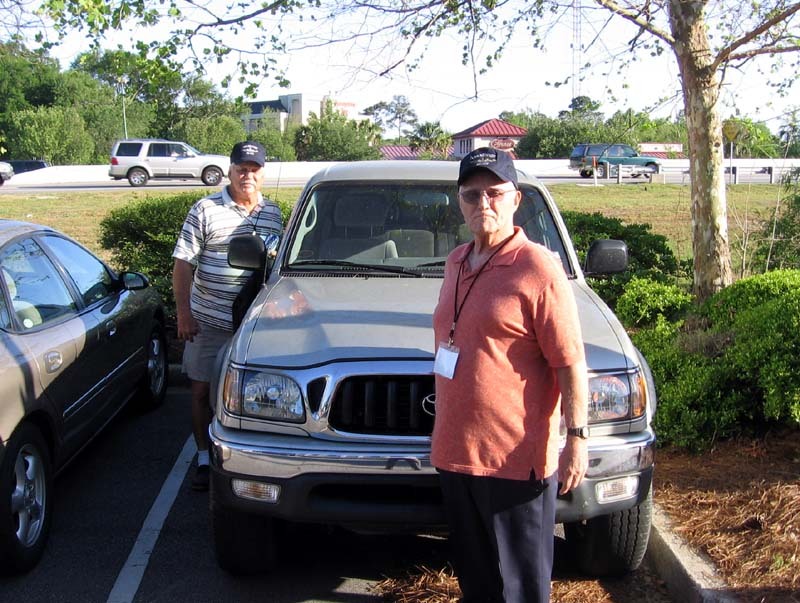 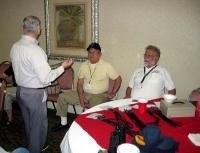 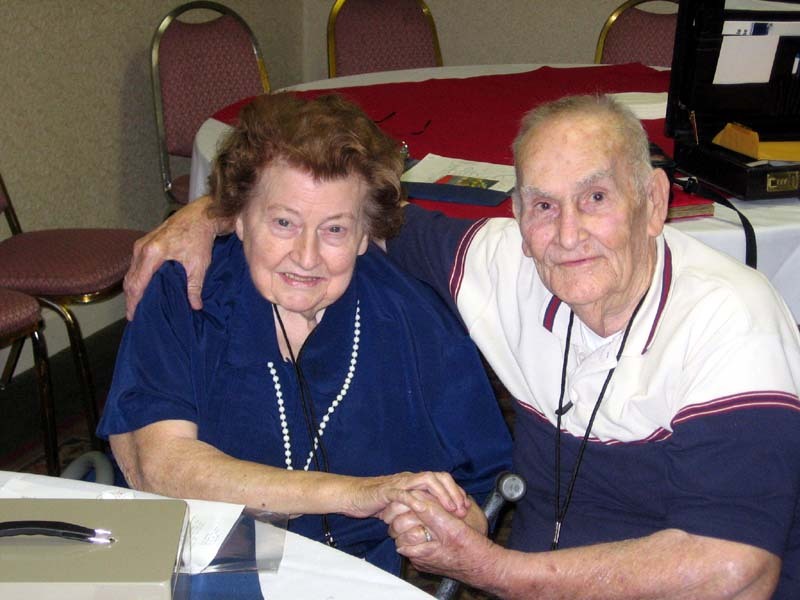 2007 Chasn Reunion - Cecilia and EN2(SS) Marshall "Pappy" Henderson (50-52) and (61-67) (Vernon) (sr07v834). 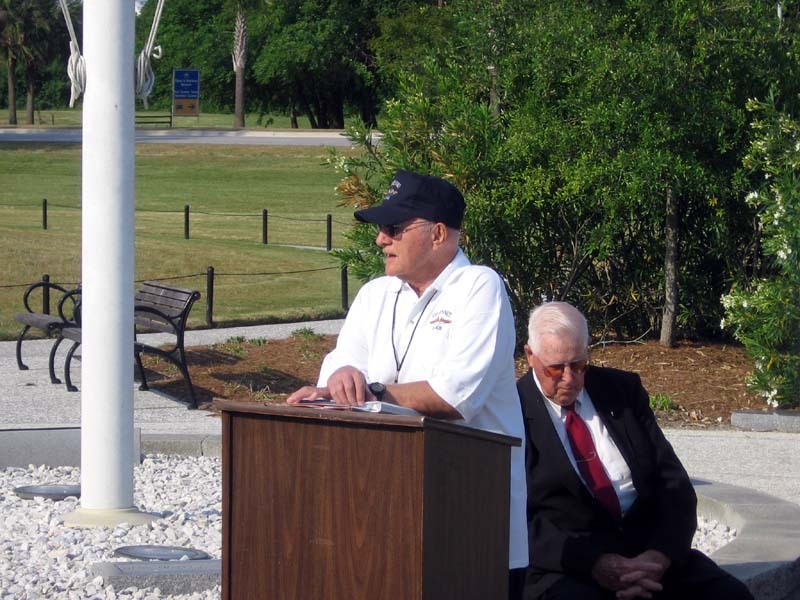 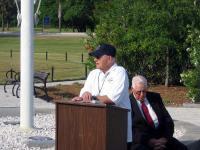 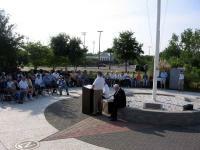 Capt Charles Cotter speaks at our Memorial Service at Patriot's Point in Charleston (Vernon) (sr07v840). We gathered for SENNET's memorial service at the beautiful Cold War Memorial at Patriot's Point in Charleston (Vernon) (sr07v846). 2007 - Reconstructed facial models of the Hunley crew (Vernon) (sr07v851). 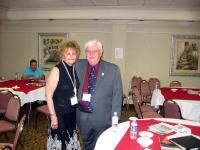 Reunion 2007 - Stella and ENC(SS) Ernie Barwick (62-64) (Vernon) (sr07v856). 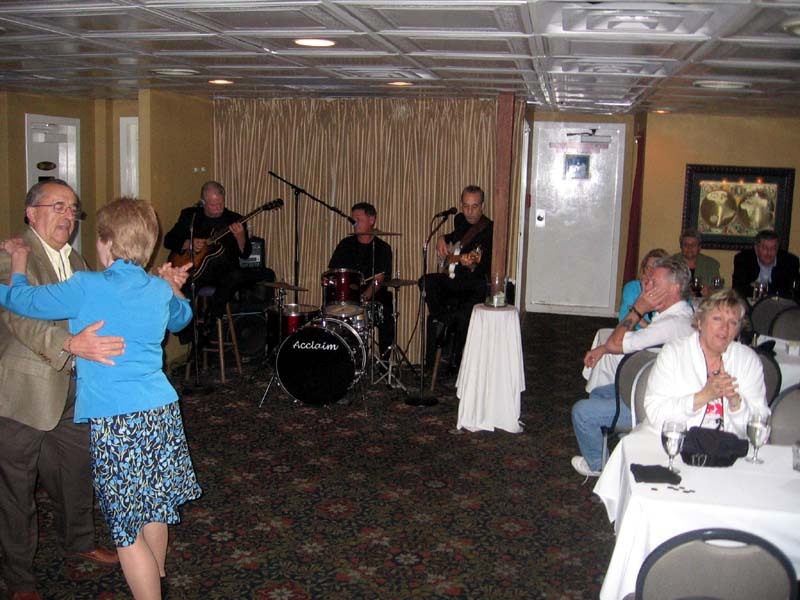 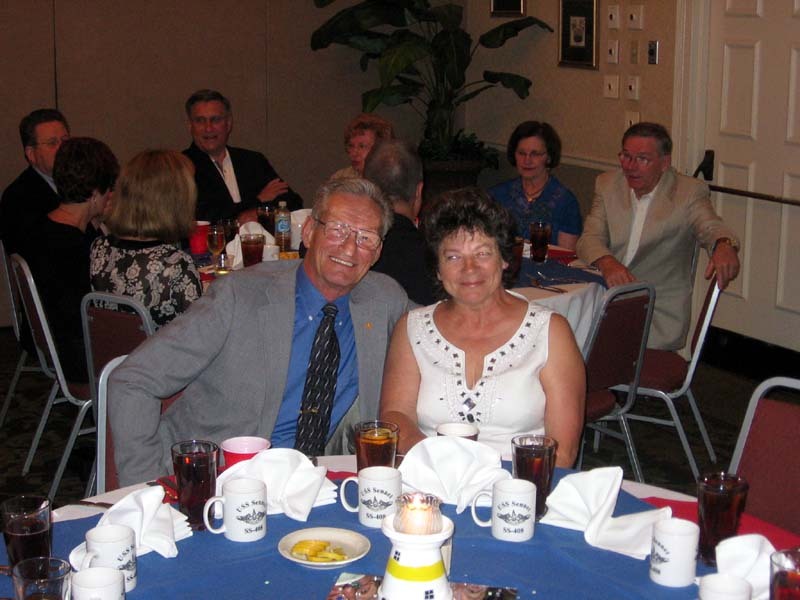 Reunion 2007 - STS2(SS) Bill Beggs (65-67) boogies with Pat Chinn on the dinner cruise (Vernon) (sr07v864). 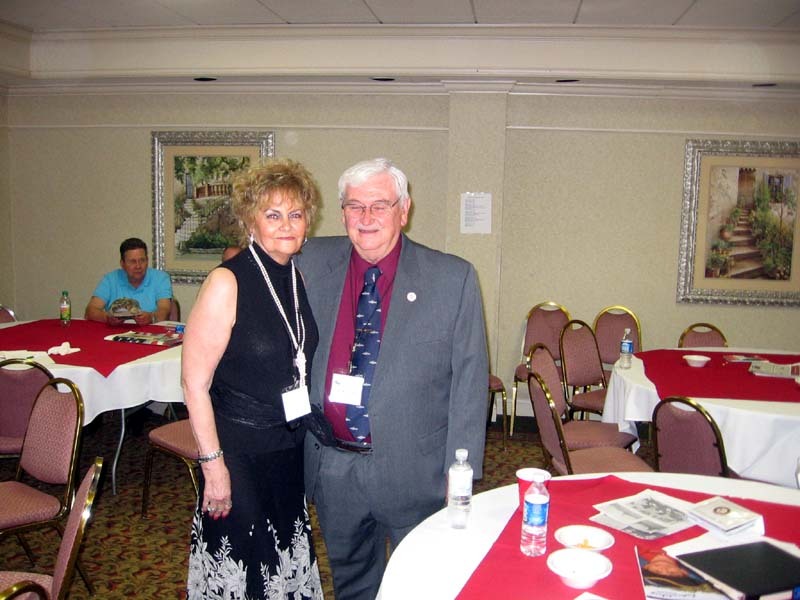 Reunion Reunion 2007 - MMI(SS) John McMichael (64-68) with Billie at the SENNET banquet (Vernon) (sr07v870). 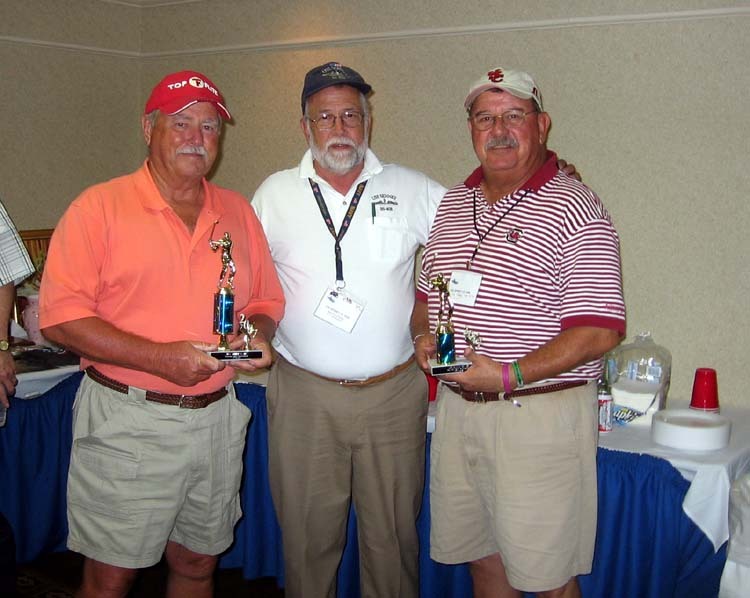 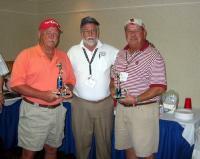 Reunion 2007 - (L to R) SN(SS) David Woodall (63-64), MM1(SS) Ralph Luther (64-68), and QM3(SS) Tom Cosby (62-65) with theri golf trophies (Vernon) (sr07v876). Reunion 2007 - Don Hagy and Capt Cotter (Vernon) (sr07v882). 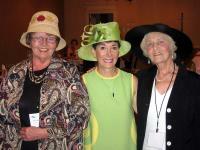 Reunion 07 - Ladies Luncheon - (L to R) Margo Feulner, Archie Burke, and Pat Shoesmith (Vernon) (sr07v902). 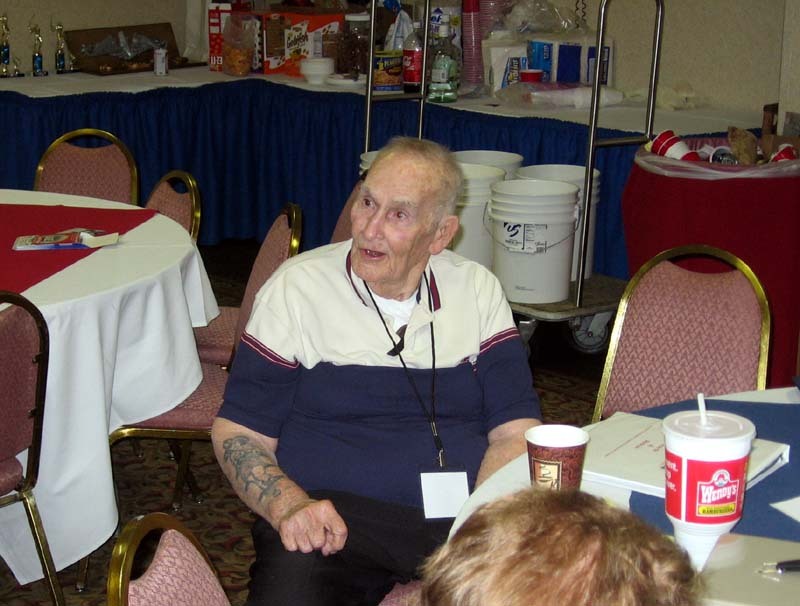 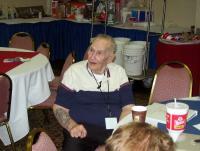 Reunion 07 - EN2(SS) Marshall "Pappy" Henderson was on board Sennet twice (50-52) and (61-67) (Vernon) (sr07v908).